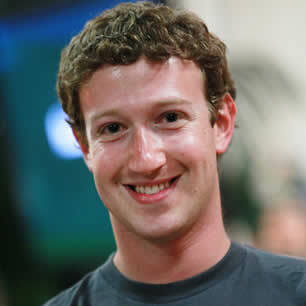 Mark Elliot Zuckerberg is one of the five co-founders of the social networking website Facebook. He is an American computer programmer and internet entrepreneur and is currently the chairman and chief executive of Facebook, Inc. In his dorm room at Harvard University, Zuckerberg came up with the idea of a social networking site, called The Facebook. The idea came about due the lack of a concise student facebook at Harvard. A college facebook is a directory of students, so that they may be able to recognize and know more about each other. Zuckerberg eventually launched The Facebook from his dorm room with his roommates and friends, Eduardo Saverin, Andrew McCollum, Dustin Moskovitz and Chris Hughes. While the ‘The’ was eventually dropped from the site, the site itself has continued to grow to this day. In 2007, at the age of 23, Zuckerberg became a billionaire as a result of Facebook.